Prowus Fundraiser at Bethany Public House. April 11, 2018. Portland, OR. Have a great meal and support PROWUS at the same time! 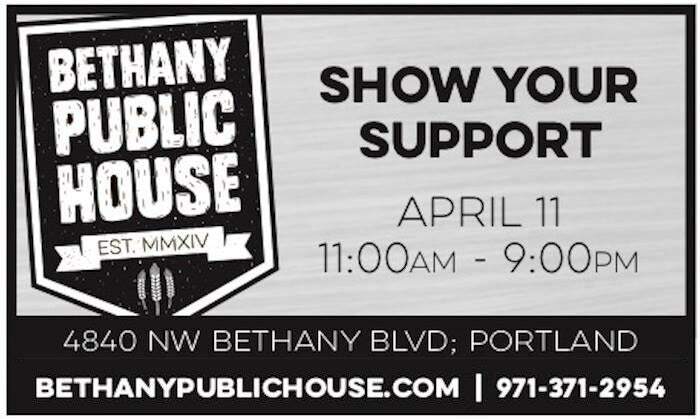 On Wednesday, April 11, from 11am till 9pm, present this flyer (click on the image to get the full flyer) at Bethany Public House and PROWUS Music Scholarship Fund will receive 15% of your total bill! Valid for take-out orders too!